The glow of mid-afternoon settles in and casts a golden hue over everything in sight. Waves lap at the shore as I timidly dip my toes into the surf. The water is frigid and unforgiving, but determined, I root down and firmly plant my feet. My pilgrimage has ended. The west coast has been calling me for years, and I’ve finally made my way to her shores. Closing my eyes, I inhale deeply. The smell of salt + sunscreen tickles my nose, and I think about everything that it took to get here. Digging my feet further into the sand, the Pacific splashes around me. The sunshine feels warm against my skin. I have been a lot of places in this world, but I have never felt more at home. I am exactly where I need to be. I have dreamt of California for the greater part of my life. 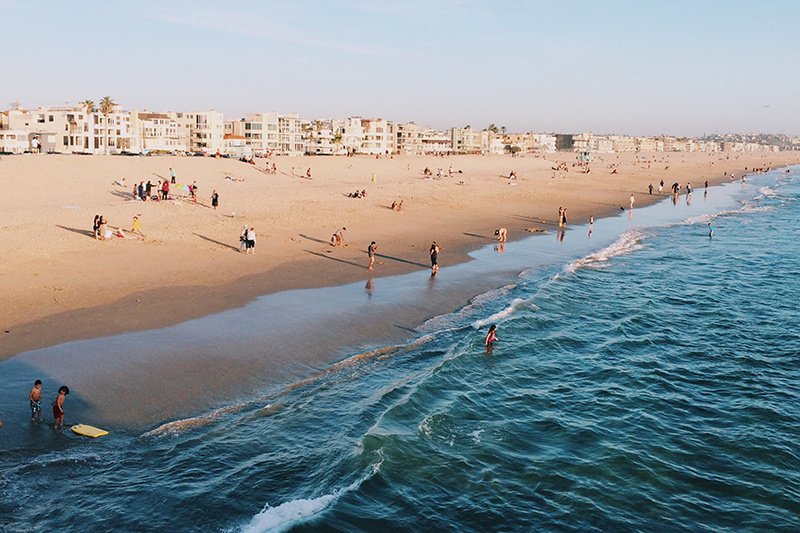 So recently, when Pedro and I had the opportunity to indulge our unyielding sense of wanderlust, we took a trip to Venice Beach. Not only was it our (albeit delayed) honeymoon trip, but it was also my first visit to the Golden State. The trip was quite literally, a dream come true. We didn’t want to rent a car (we are weird, we know - nobody walks in LA), so we decided to pick one neighbourhood to really immerse ourselves in. Honestly, we couldn’t have made a better decision. With a city as sprawling as Los Angeles, you’re never going to see + do, everything in just a few days. My best advice to you - do some research and focus on a couple of neighbourhoods based on the things you love + what they have to offer. Being close to the beach + having access to great food was a must for us. 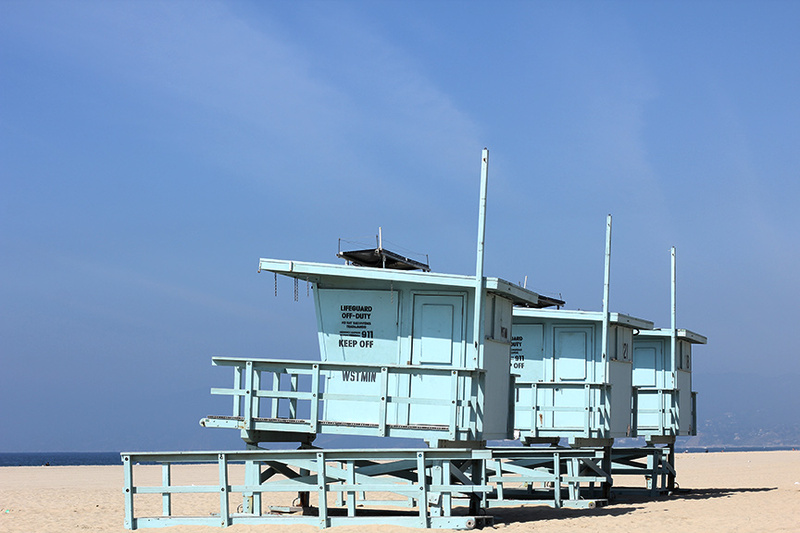 Seriously, what better locale for a first-timer’s trip to SoCal, than the famous Venice Beach? There were so many highlights from our short sojourn to the West Coast, that it’s hard to choose just one. From sipping Rum Bucks + Red Stripes at The Sunny Spot (minutes after checking into our hotel), to late night drinks at Gjelina + The Other Room. Dipping our toes into the Pacific for the first time, to sun-drenched afternoons spent on the sand. Watching day fade into night from the prettiest of patios, and basking in those last moments of that warm California glow. Having a hilarious older gentleman on the boardwalk read my cards (he told me I would write a book, among other things) to hanging out at the skatepark. Late night adventures to In-N-Out (worth it), to strolling along the canals... So much good food, so many fish tacos, and Happy Hours galore. More importantly, so many good times with the best company. Surf, and sand, and sun, and love and light - we had so much fun. 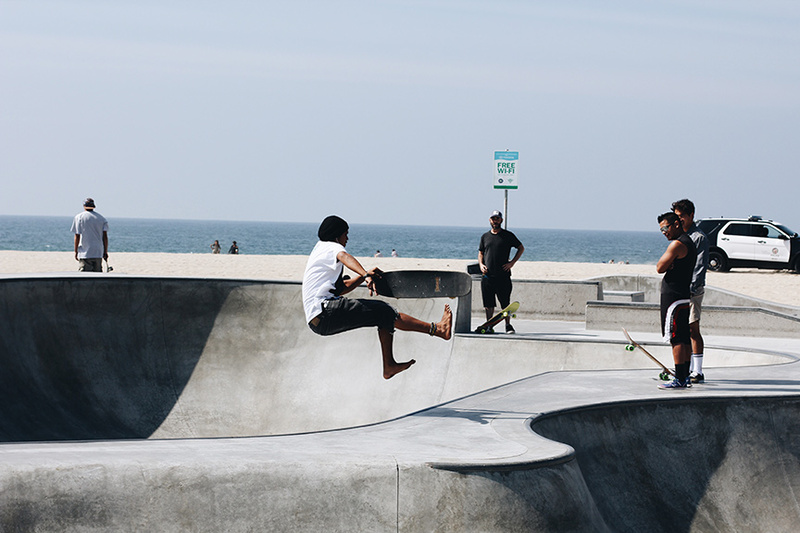 Needless to say, our trip to Venice Beach made us that much more ecstatic for our 2016 move to Los Angeles! It’s a strange and wonderful feeling when you finally end up where you were meant to be. It’s even better when you end up there with the one you love. It took a long time, but California - I am glad we finally got to meet. 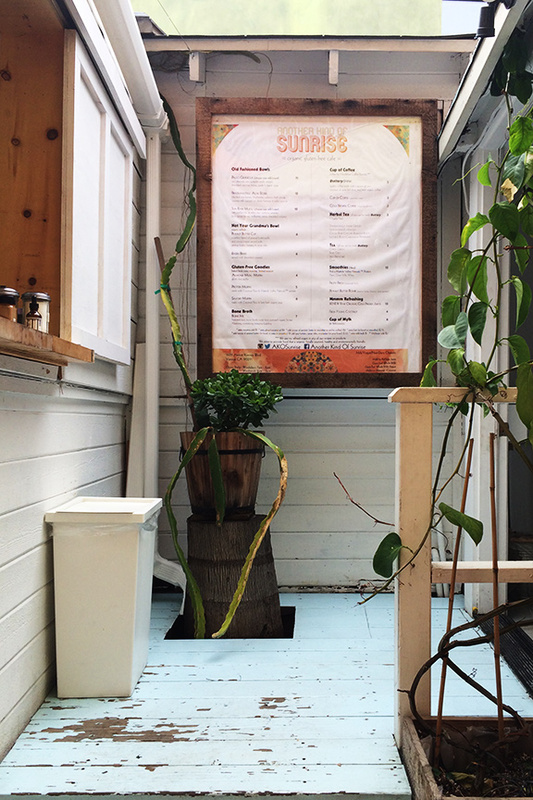 Hit up The Sunny Spot Venice and get the Mofongo (and maybe a Rum Buck, too)! You won’t regret it. 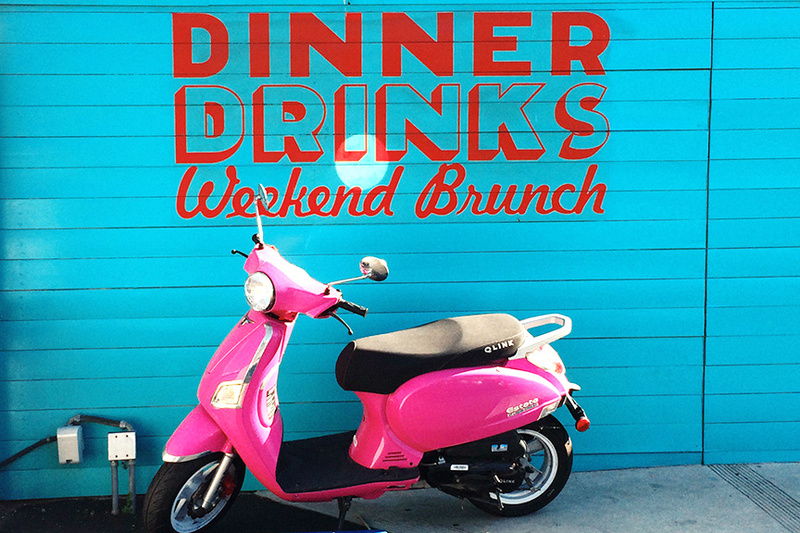 The Boardwalk is fun, but venture onto Rose Avenue for some seriously good grub. Cerveteca, Flake and Moon Juice are musts! No time for breakfast? The Buttery Brew from Another Kind of Sunrise on Abbot Kinney is out of this world. It will also keep you full until lunch time (I promise). Traveling on a budget (aren’t we all)? Take advantage of Happy Hour! That way, you can hit a few spots without breaking the bank. Check out the view of Venice from the High Rooftop Lounge at the Hotel Erwin. Show up early (or make a reservation), it can be hard to snag a spot. Plan to watch the sunset from the beach. It’s an experience you won’t soon forget. SoCal will show off for ya, don’t you worry. Is shopping your thing? 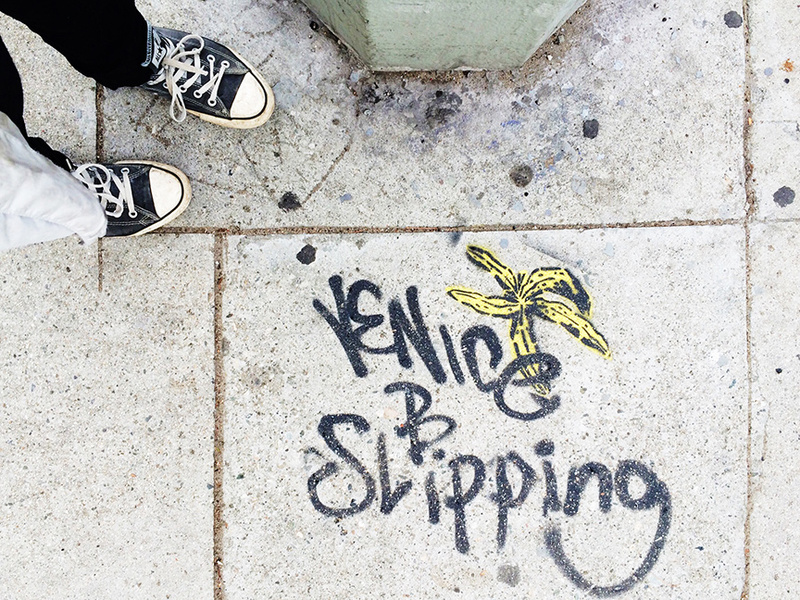 Stroll down Abbot Kinney, and browse a bevy of beautiful shops + boutiques. My favourites were Tortise General Store + Junk Food Clothing + Ilan de Venice + Urbanic Paper Boutique. Love craft brews? Chill to the sounds of Sublime on the patio at the Venice Ale House. Grab your favourite IPA or try a flight, and order a “Skate of Beer”. Menotti’s Coffee! If you’re taking a peek at the famous Venice sign, there are delicious cold brews + americanos to be had by all at this neighbourhood gem. Looking for a spot to practice yoga? Defy gravity with a partner and some acro-yoga on the beach. Want to get grounded instead? Try the Yoga Nest Venice, for some sweet Vinyasa Flows. It’s just a short walk from the shore - so you’ll be back in the sand for some post-practice frolicking in no time. I'm back on the road again tomorrow, so you can expect lots of summertime travel fun in the coming weeks!